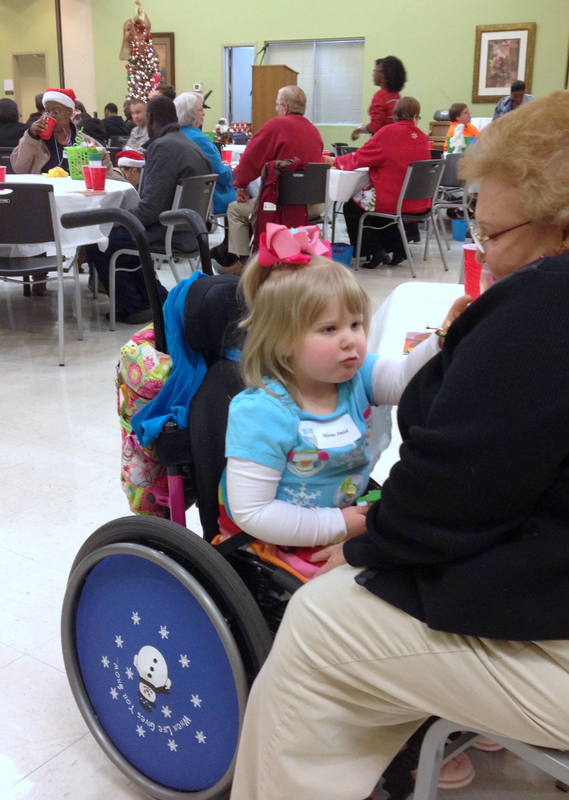 Rhema attended the Shriner’s Christmas party this year and had so much fun! 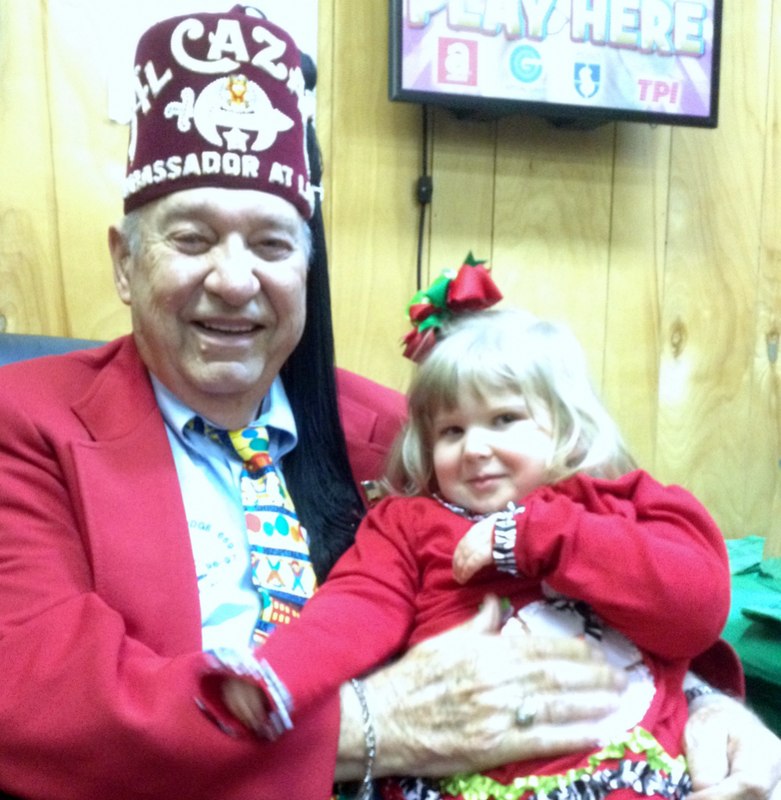 Our favorite part was seeing Mr. Ray who is our Shriner’s buddy! He is the precious man who shuttles kids to and from the hospital and helped us last year get Rhema up to a Shriner’s clinic. 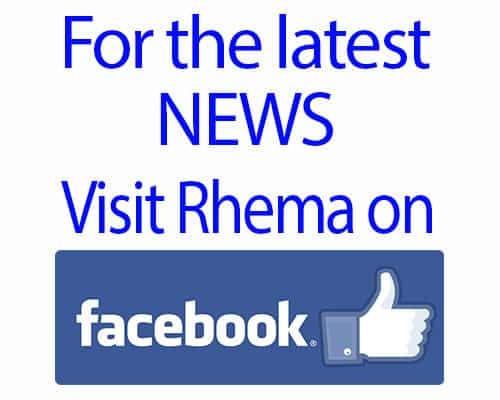 We may be seeing him in the Spring to get Rhema back up to Shriners to seek out info concerning their Continence clinic. Ray and his wife are both precious people and we are blessed to have them on our team! Rhema was also invited to a Christmas party in a nearby city that was hosed by the Rotary Club and our friends at “In His Image” support group for parents who have children with special needs. It was a wonderful party!!! As I sat at this particular party, watching all the parents and care-givers of this huge group of folks, I was so humbled watching the sheer amount of people who were there solely to “care for” the participants. I watched single mothers chase their kids all over the auditorium…… I watched families modify snacks and foods so their SN family member could partake of the food…… I watched such love from some families who all sat together tending to every need their SN family member had….. and I watched some SN individuals who’s families seemed aggravated to be there…..
We are now three years into our time living with my family and I can honestly say that we are SO BLESSED by the support we have in them! My mom, Rhema calls her Gida, attended the function with me; she is my constant support, my travel companion and grandmother extraordinaire to Rhema! Rhema has no idea how much of a blessed little girl she is to have such a wonderful supportive Papa and Gida; I know when she grows up she will realize. But on this night, it was me (momma) who found herself grateful. 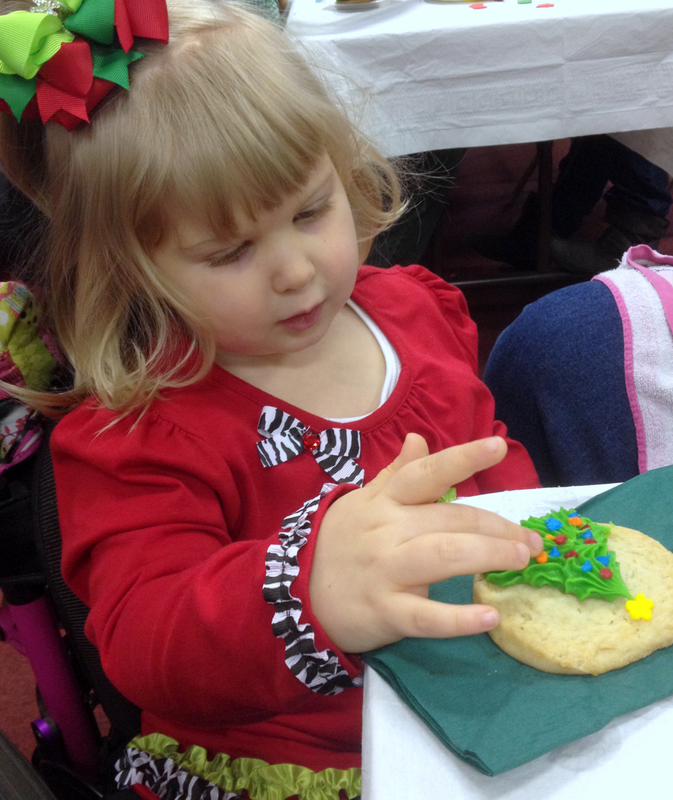 Rhema Loved Gida’s Decorative Christmas Pin! 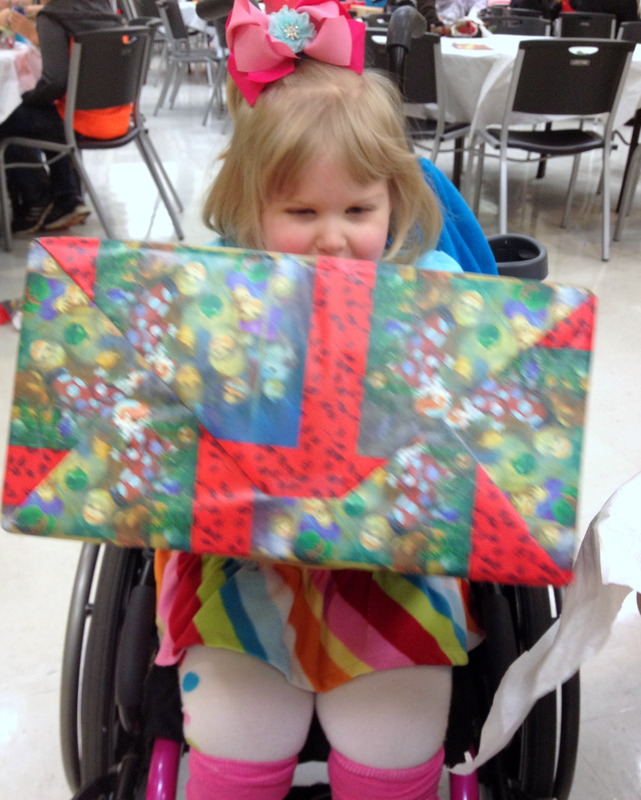 Rhema really enjoyed this wonderful Christmas party! Everyone at the Rotary Club was so pleasant and caring! We will for sure go back next year and hope to get to know them more and more each year!